Stippled Porcelain is a hand crafted pendant range developed as a collaboration between ISM Objects and ceramicist Steven McClure. Proudly created in Melbourne, Stippled Porcelain is available in four different styles - Cone, Slim, Squat and Crumpled and as their names imply each is unique in shape. Crumpled pendant is a low voltage fitting with a fine adjustable rod suspension. 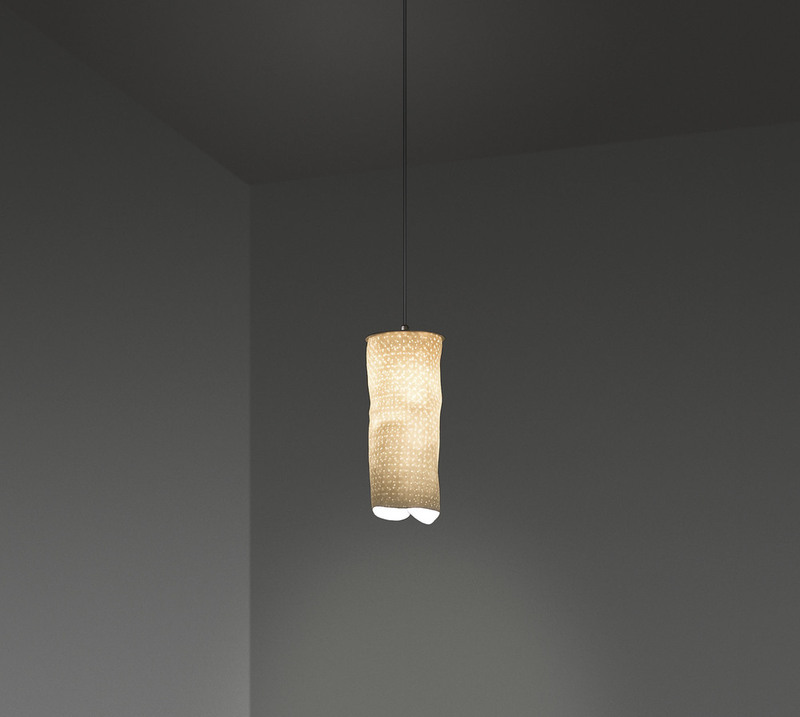 The delicate appearance and handcrafted quality of each individually made pendant ensures Stippled Porcelain possesses the hallmark traits of a signature piece - attributes that bring a sense of quality to any interior.